5 | 2 students enrolled. For any business, every decision has to undergo rigorous scrutiny, and every manager is held accountable for the bottom line. Non-finance persons tend to concentrate on the technical and marketing aspects of the running of a business and neglect finance management, often to their peril. The instructor, with his immense experience, understands the challenges that a Manager-Finance faces. Hence as a solution to such challenges, he presents to you this program that gives you a broad introduction to the field of finance. This program is designed to give an understanding of financial statements for the busy entrepreneur/manager/executive. 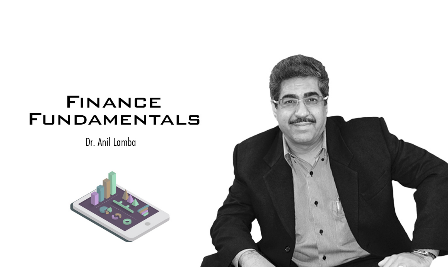 In this session, Dr. Anil Lamba introduces the Profit and Loss Account and the Balance Sheet and explains why these two basic financial statements are made. One must never forget that the objective of running a business enterprise is to make a profit. However, profit is not an obvious figure. Unless somebody compiles financial information and presents it in the form of a Profit & Loss Account, it is not possible to know whether a business has made a profit or a loss. The trainer further explains the contents of a Profit and Loss Account and the importance of various items therein. He then takes us through a typical Balance Sheet, a statement that lists out the liabilities and assets, and explains their importance in the business. Dr. Lamba also explains a simple way of making these statements, even if one does not have any knowledge of accounting. In this session, Dr. Anil Lamba explains what is Profit? What is the formula to arrive at Profit? He highlights that profit is not money coming in minus money going out, but it is an excess of income over expenses. The concept of profit is explained with the help of a case and how it is the fact of consumption that determines whether money spent has resulted in an expense or if it has created an asset. The concept and logic of Depreciation have also been dealt with. Dr. Lamba cautions you never to make the mistake of thinking that profit is equal to money. Profit and money have got nothing to do with each other. It's absolutely possible that an organisation makes a lot of profit and has no money, as it is possible to have plenty of money and still not make profits. In this session, he will tell you what a dangerous figure profit is and also would discuss the impact of inventory on profit.